It has been quite a while since my last review. I was suppose to write this review after the Anastasia Seen and Be Seen Makeup Kit Review but was somewhat busy with other things. Anyways, I am someone who really needs mascara. I have small squinty eyes that you might need a magnifying glass to see it:) As much as I love mascara but the waterproof one is just so hard to remove, right? It takes forever to get them off even I use a waterproof eye makeup remover. That is when I found out about Anastasia Lash Genius! It is a clear topcoat that you put on after your favorite non-waterproof mascara to make it waterproof! Want to find out if I like it? The answer is YES! 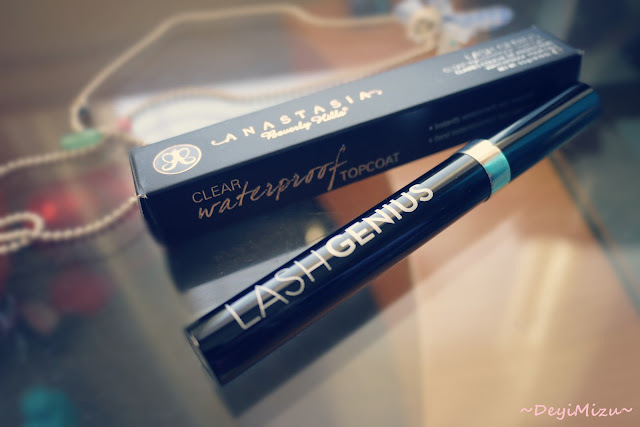 I am totally in love with this clear topcoat mascara! 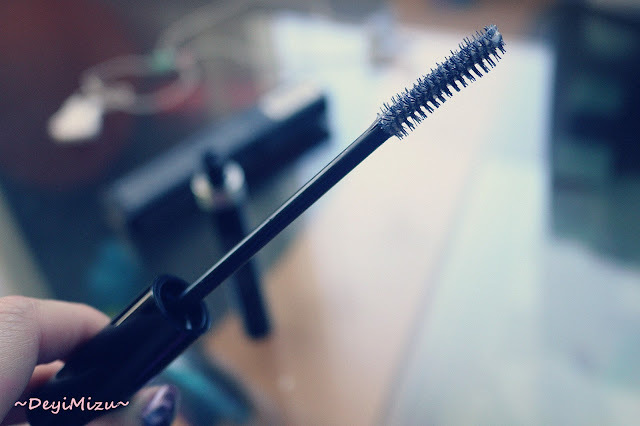 The mascara has a silicon base so it will not clump your lashes or make them feel dry at all! My lashes feel much softer to touch than it used to be after applying waterproof mascara. My lashes tend to look rough and dry after the waterproof mascara. If you have the same problem as me then this is definitely the product for you. It works great on my upper lashes! 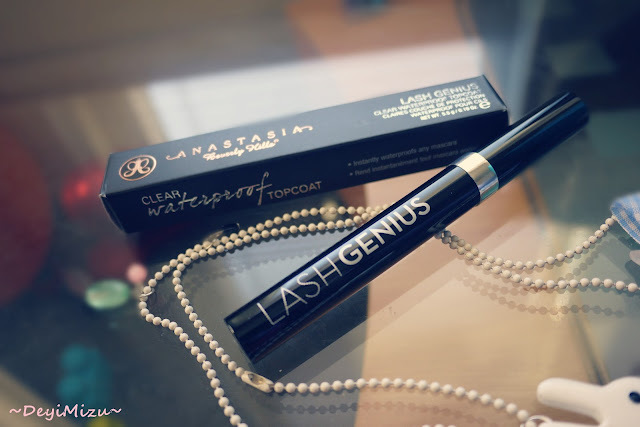 Lash Genius goes for at least 6 hours without smudging. I even apply eye drop to my contact while wearing this and the mascara still stay on! If you are going to rub the mascara off, you might see some smudging. I find this clear coat mascara do not work well with my lower lashes because I do see a bit of smudging. Lash Genius retails about $21 at Sephora. Do you wear waterproof mascara?